If this year you are looking for a new way to market your brand and get the word out there about who you are… a great ideas for you could be to step away from your computer screen and come face to face with your customer base,. 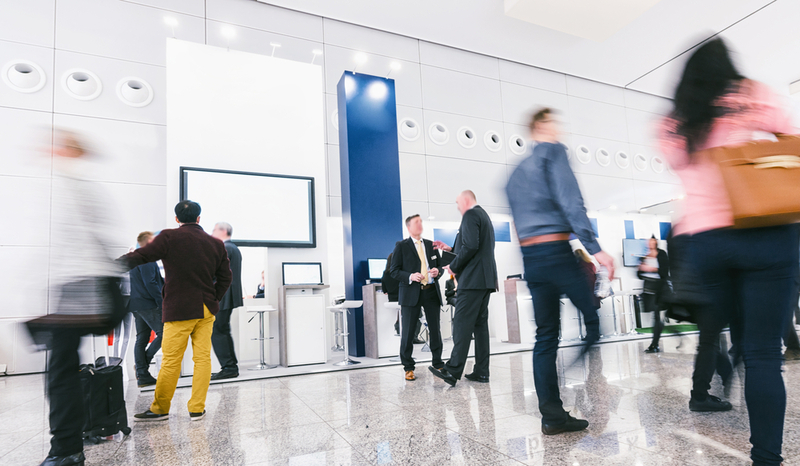 Trade shows are exhibitions which run all over the world each year and they cover a wide array of industries, if you are looking to make a positive change to your brand and reach more people this year, here are some trade show tips you should know. It is so crucial for you if you are planning to exhibit or visit a trade show that you make the right choice. There would be no use for a bathroom brand to exhibit at the gift fair 2019, because the audience won’t be right and you won’t get the exposure you need. Be sure to do a lot of research on the trade shows out there and also take a look at the other brands who will be showing. You can usually order a free brochure online for a trade show and this will allow you to see which other companies will be there on the day. If your goal at a trade show is to blow away the competition and make a good impression with your audience, you need to do better than a small table and some free pens. The whole idea of a trade show is for people to meet and get a taste for your brand, so you will want to make a good impression with them right away. For example, kitchen brands such as Franke often build whole kitchens for their stands and they will offer free chocolates and treats for anyone who visits. Things like this will help to get you noticed. Once you have signed up for a trade show and you have a few months to go until you visit, it is crucial to let people know where you will be. Marketing to your audience in advance could involve emails to tell them you will be there, social posts and lots more. It can also be a good idea to set up meetings with buyers and other companies before you go, so that you have a clear schedule and goal for the day. Exhibiting at a trade show can be a nerve-wracking thing for some, and if you don’t take time to prepare them before they go, it can be a disaster. Make sure to have a few meetings to discuss your tactics and also make sure that your workers know how to answer simple questions which they could be asked during the day. This is super important and it can make all the difference on the day. You will also want to set a strict dress code for your workers so that they look smart and sleek to represent your company in public.